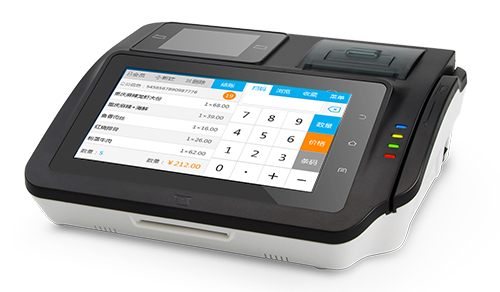 M680 is a high-end multi-media POS, developed on the Android system. And it’s configured with 7 inch touch screen, magnetic, IC and RFID card reader, thermal printer, barcode scanner. It is able to match diversified needs ranging from financial self-attendance, membership management, identification recognition and etc. And widely used in restaurant, banking, hotel, shopping mall, lottery and etc.